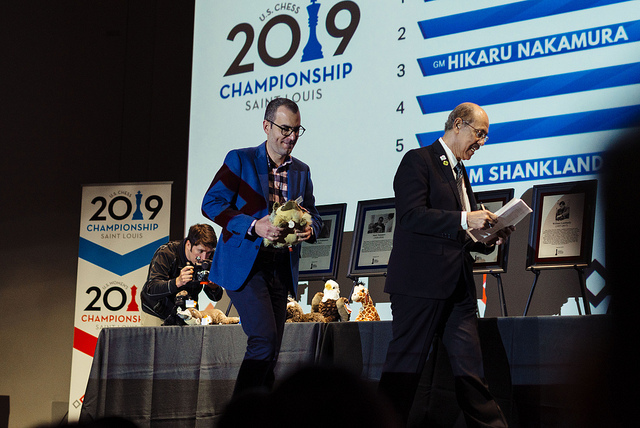 Hikaru Nakamura faces Wesley So in Round 1 as the 2019 US Championship gets underway in Saint Louis today. 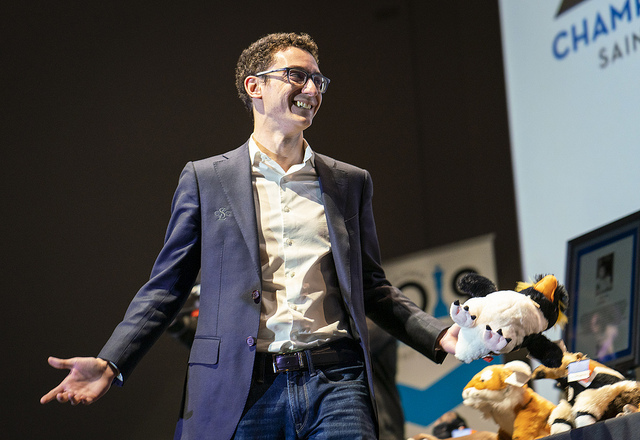 Fabiano Caruana starts with a remarkable 57-point rating edge over 2nd seed So, but with defending champion Sam Shankland now also joined by Leinier Dominguez, whose switch from the Cuban to the US Chess Federation came through last December, it’s set to be a tougher event than ever. Nazi Paikidze will not be defending her title in the women’s event, but serial winners Irina Krush and Anna Zatonskih both play. 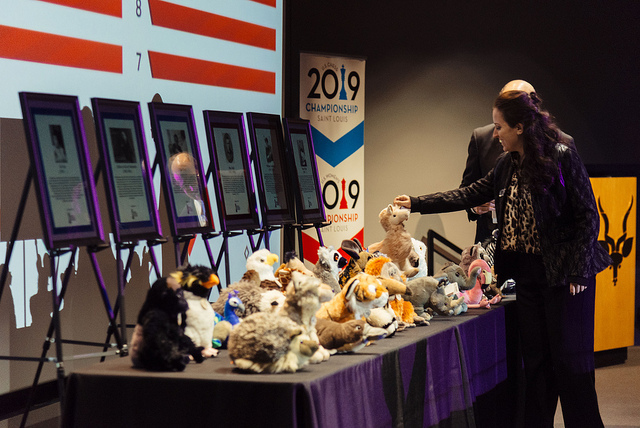 The 2019 US Championships again feature two 12-player round robins, with $50,000 for 1st place in the open section and $25,000 for the women’s. 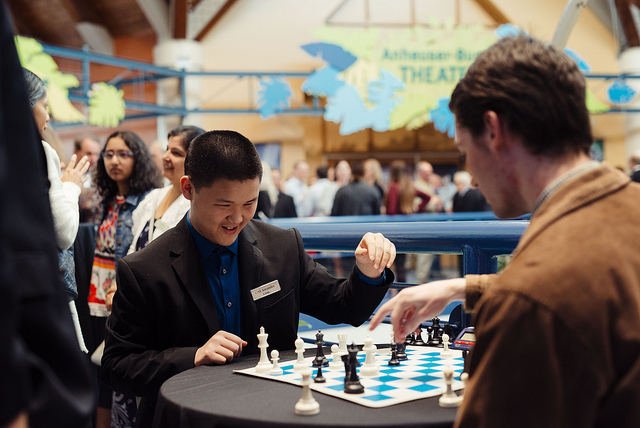 The venue, for an 11th year in a row, is the Saint Louis Chess Club, while Monday’s opening ceremony took place in the Saint Louis Zoo, with the players picking animals to decide their seeding numbers. 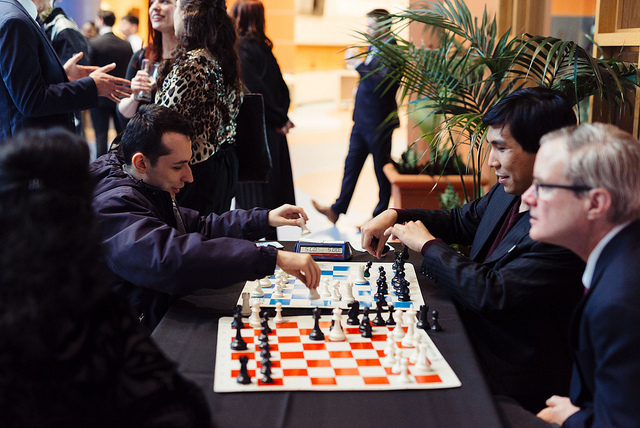 The traditional Big Three of Fabiano Caruana, Wesley So and Hikaru Nakamura all play, though Fabiano is going to have to post an impressive result simply to defend his rating - the 2018 World Championship Challenger leads So by 57 points and Nakamura by 73 on the latest rating list. They’re joined by Sam Shankland, who hasn’t looked back since breaking into the 2700 club by winning the 2018 US Championship, and Leinier Dominguez. 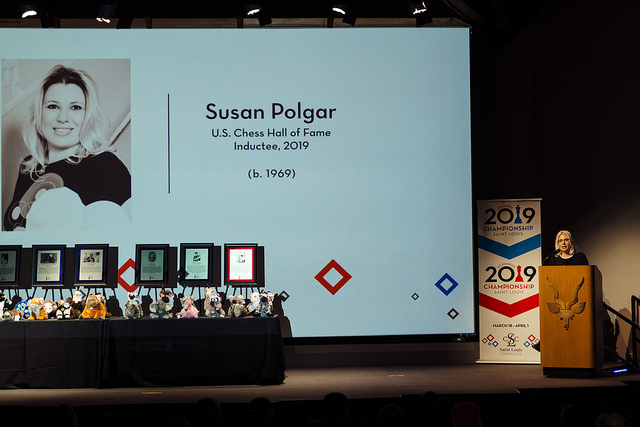 The 5-time Cuban Chess Champion’s opportunities to play chess have been hugely curtailed in the last few years as he decided to move to the USA, and in fact he’s currently not listed among active players on the FIDE rating list after last playing a classical game in November 2016. When he starts again now his 2739 rating will make him world no. 19, however, and if he’s not too rusty we can expect him to be as tough to beat as he always used to be in elite events. It’s curious that at only 35 years old Dominguez and Varuzhan Akobian are the veterans of the field, and many eyes will be on the young stars. 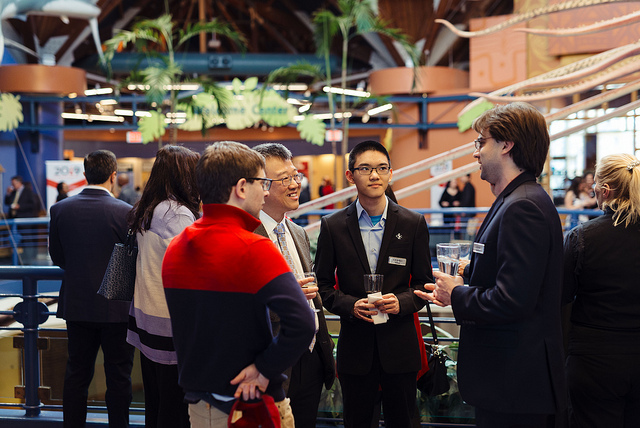 Recent Spring Chess Classic winner Jeffery Xiong and Sam Sevian are both now 18 and may be ready to make a real impact on the event. In Sam’s case it’s his first chance to play since 2015, and he’ll be looking to take full advantage as he builds on an unbeaten +2 for the US team in the recent World Team Championship. 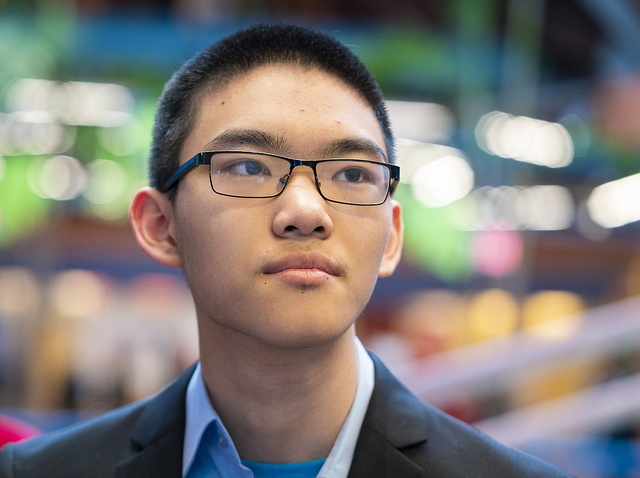 The youngest player in the event is 15-year-old Awonder Liang, who once again earned his place by winning the US Junior Championship. 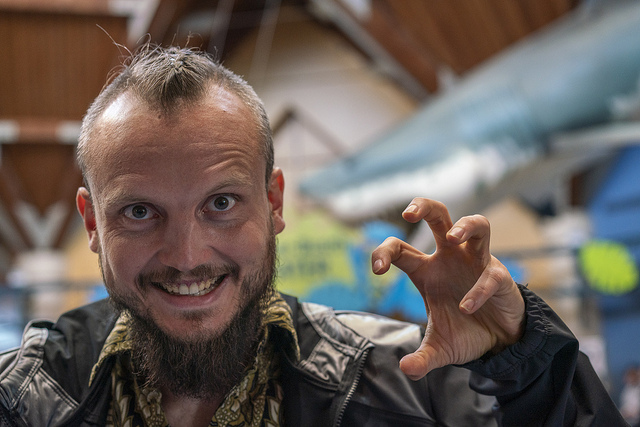 The wild card, in more ways than one, is Timur “Blindfold King” Gareyev, who is guaranteed to liven up proceedings. 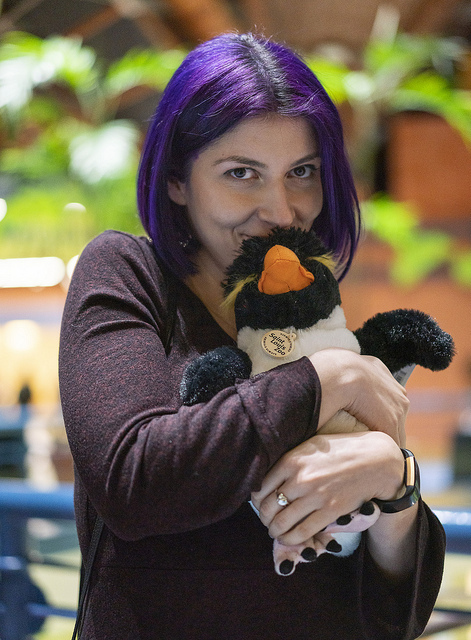 Nazi Paikidze won the 2018 US Championship, her 2nd title in three years, despite having played no chess for almost a year beforehand. She hasn’t become any more active at the board since and this year has chosen to skip the event completely, taking things easy elsewhere! That’s a disappointment, but Irina Krush and Anna Zatonskih, the winners of 11 titles between them, both play, along with 2017 Champion Sabina Foisor and perpetual challenger Tatev Abrahamyan. 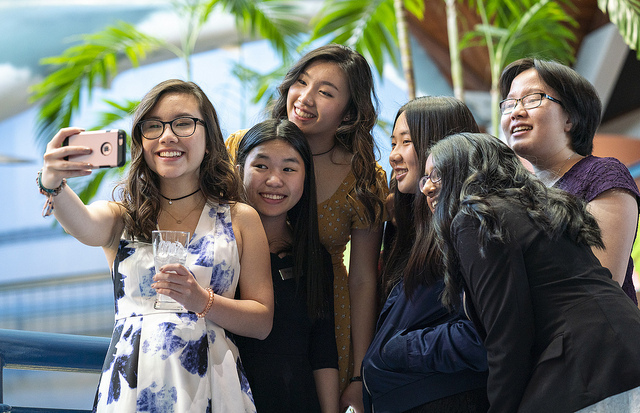 Once again, though, a lot of the attention will be focussed on the army of young girls who promise a bright future for US Women’s Chess: Carissa Yip (15), Annie Wang (16), Akshita Gorti (16), Emily Nguyen (16), Jennifer Yu (17), Maggie Feng (18) and Ashrita Eswaran (18). There’s not even place for 13-year-old Rochelle Wu, who starred for the US team with 3.5/6 in the Women’s World Team Championship. 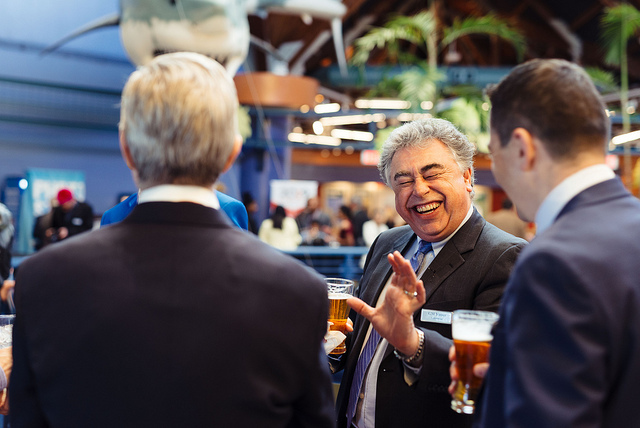 Of course it wouldn’t be the US Championship without a top quality broadcast from Saint Louis, with Yasser Seirawan, Jennifer Shahade and Maurice Ashley again forming the core of the commentary team.